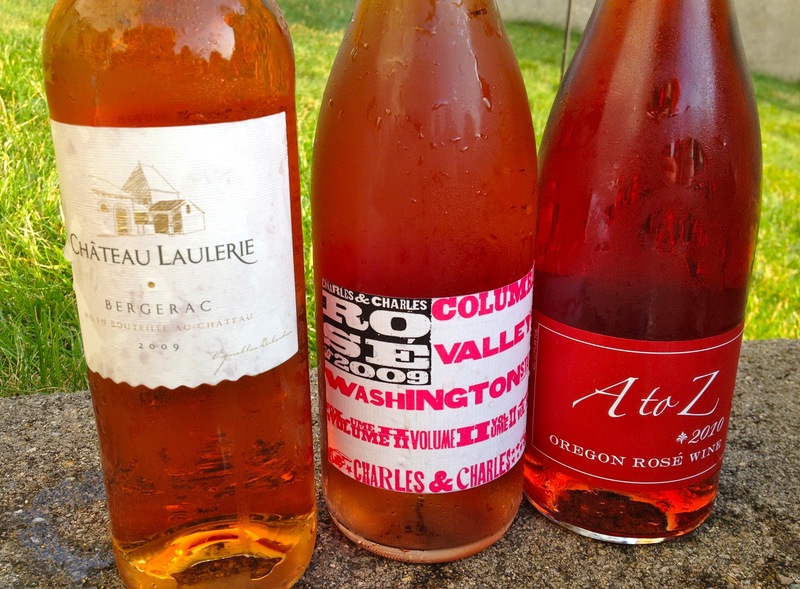 Since July 4th is upon us here in the states, I always want to make sure I have a supply of value priced Rosé on hand. Many that see the color immediately think of that “other” blush wine that is sweet like candy. 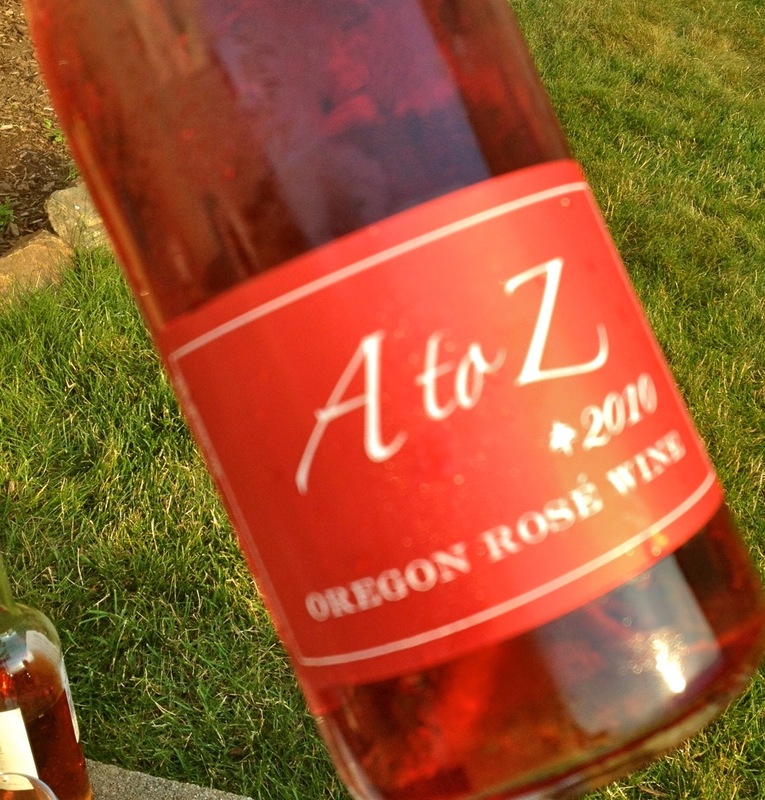 I refuse to slam White Zin, as it actually works to bring people into the wine fold from other alcohol based choices. My wish is that those White Zin sippers move on to try other things beyond that door. But enough about White Zin. For US-based Rosé, a value priced standby is always the Bontera (had some last night) and The Bony Doon Vin Gris de Cigare. Muga from spain is usually fantastic and highly rated as well. But…if you can find it, the Domaine Le Galantin Bandol Rose 2010 is a classic Provençal rose. All under $20 and most of these under $15! 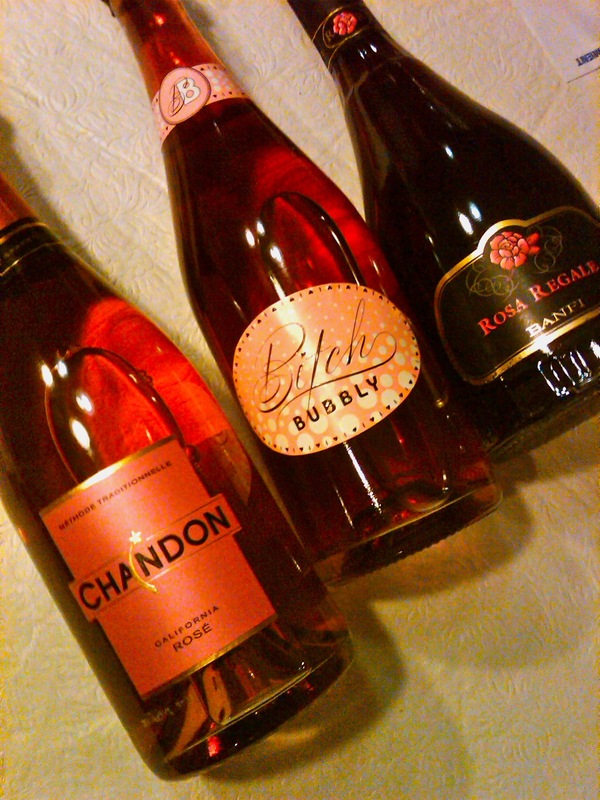 Look for my Sparkling Rosé recommendations soon. Let the sun shine and keep pouring me Rosé. Guys, don’t be afraid of the pink…trust me, it’s summer in a glass. Please drink responsibly during the holiday and always. Be safe. Enjoy. We heard about Gabby’s II in Hackettstown from good friends Tara and Dan, and I am pleased to welcome this new Italian restaurant to the area. Sure, we are flooded with so many pizza “joints” you can throw a rock and hit one in any direction on RT 46, mountain Ave, or RT 57 – but you won’t find this care of ingredients, preparation and quality of food in any of the rest. Gabby’s II resides were Carlena’s was – 190 Mountain Ave. in Hackettstown (to the right of the IHOP). It opened in December, 2010 and the owners are warm and gracious hosts Tricia and Hector Salazar (locals from Mount Olive) and partner Josh Harris (of Flemington). 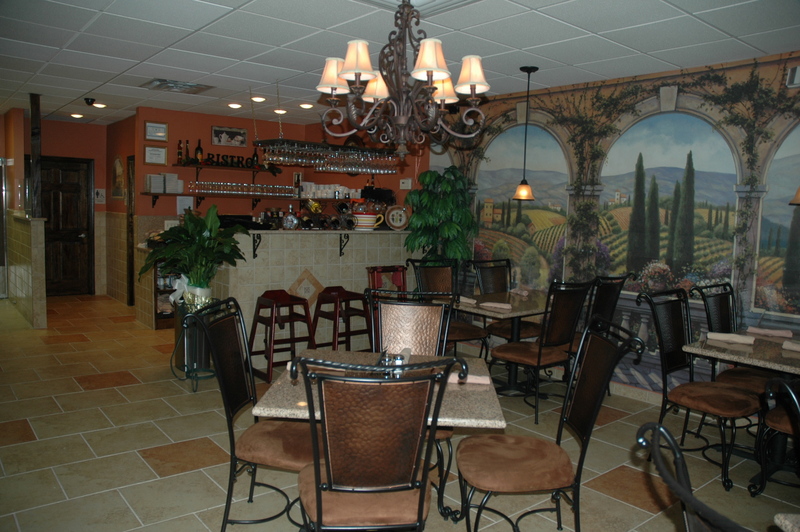 They come with a wealth of experience – this is their second restaurant (Gabby’s I is in Flemington, NJ). By the way, Gabby is the name of Hector and Tricia’s little girl, which makes sense as this does feel like a family place. We came in and sat at a one of the available tables early on a Tuesday night. A few people were already sitting and it was just after 5 p.m. We were given menus (nice selection) quickly and decided to order a few things to share – so we can see how they prepare some of our favorite Italian-American dishes (no Osso Bucco tonight). We decided on Chicken Francaise, Eggplant Parmesan hero, and Penne in Vodka Sauce. Dinners come with the usual salad and pasta choices. Tricia took our orders and returned quickly with bread and soon followed up with the salads. Nice crisp fresh greens, onion, tomato and olives, with a good balsamic dressing (not to heavy). We were given both garlic and regular bread in a basket and I had a good feeling after taking a bite. Hot, crunchy, amazing. No bits of raw or overcooked garlic or over oiled. The bread itself is actually seeded French bread (as Hector explained) to give it the right texture. This was not the soft spongy bread that are the norm in these parts, it was crunchy outside with a great bite and taste, and just enough garlic and butter. The food came out and the Eggplant Parmesan hero had the perfect combination of eggplant, tasty sauce and fresh mozzarella cheese and of course – served on that excellent bread. The Shrimp Parmesan dinner was equally good – with large shrimp breaded perfectly and topped with that delicious Marinara sauce and fresh cheese. Generous portions! The Penne was cooked perfectly al denté and the vodka sauce was rich and thick – extremely creamy! Plenty to share all around. The Chicken Francaise was the best dish so far, with a perfect blend of lemon, butter and lightly breaded, fork-tender, thin chicken. The ziti that accompanied it was also cooked perfectly al denté and served alongside (perfect in the lemon sauce too). This is my favorite dish and something I learned to cook from a chef many years ago and has become my “signature dish”. This was even better than my own – I love this dish. We were too full order dessert, but they have a nice selection! The pizzas looked great too and we will certainly be back to try those! Hector came around to the table and introduced himself, and asked how everything was. We explained were really here to try his food and see if we liked it (which we did) and see about catering for an upcoming party. He was very accommodating and sent us home with a sample of the Sausage, Onion and Peppers to try since we were interested in having it on our menu for the party. It was cooked and seasoned perfectly –with tender sausage (sweet not hot). It was so delicious that I ate the peppers and onions as ravenously as the sausage! Hector’s care about ingredients is evident, as he told me they do not buy that frozen pre-breaded stuff that typically helps cut corners (time, money but most of all, quality). You can taste care in everything they do. It is a BYO so don’t forget to bring something to pair with your meal. I had a Cupcake Vinyards Sauvignon Blanc that had nice lemon, lime and grapefruit flavors and paired well with the Chicken dish. I have recommended it in earlier posts. For $8 on sale, it is a great value. I wish I had also brought the Falesco Vitiano from Umbria (under $10 and always an easy drinking Italian Red Blend of Merlot, Cabernet and Sangiovese) that would pair well with the red sauce dishes). I welcome Gabby’s II with open arms. I know we all get set in our ways and remain loyal to our tried and true dinning establishments we frequent with family and friends. I too understand how easy it is to fall into that, but quality and taste are what we are after right? Everyone in the area should give Gabby’s II a try one night – instead of the usual Frank’s, Branda’s, Mamma’s or Pietro’s. I think you will taste the difference, I know I did. Their tagline is “Love at First Bite”, and they deliver on that promise. Oh, and speaking of deliver – did I mention they will DELIVER! Hard to find a great Italian place that will drive your food to you around here anymore! 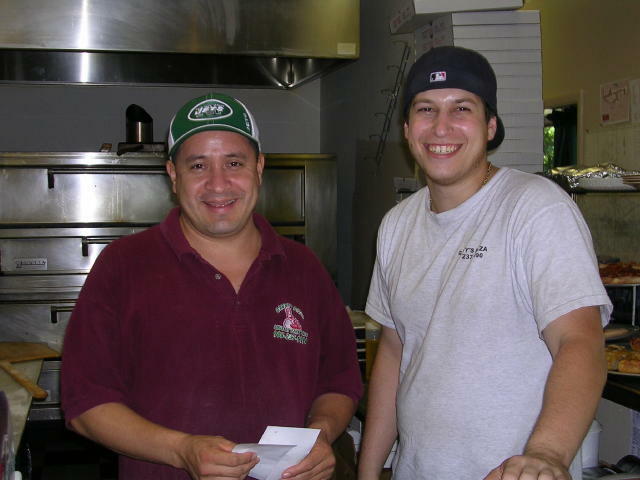 More information on their website: http://www.gabbyspizzapasta.com and there is a coupon when you click “Specials”. Note: My reviews are always uncompensated and honest – based upon my palette. Your taste/opinions may differ. I base my opinions not only on taste – but always a baseline of quality that is factual. I have no affiliation with any restaurants or wineries. Full disclosure: I am known to be extremely picky, critical and often brutally honest about food and wine, taste and preparation. I welcome any and all comments on this blog. 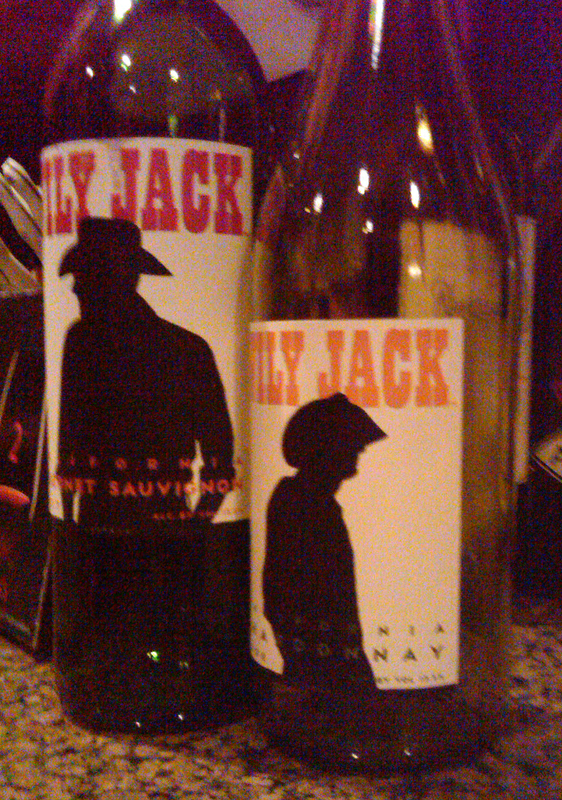 Value Wine Alert: Wily Jack Wine for $5 – The Review! As I hinted at the end of my last post about the Three Wishes wines for $2.50, I had recently purchased 2 bottles of Wily Jack (pronounced Why-lee) wine in a local Bottle King (a large retail chain in New Jersey) for a sale price of $5 each. The label captured my attention first, as it was a bold and well branded wine – with Michael Schwab illustrated label (his name was right on the bottom of the label, interesting). Though this bottle was purchased on sale for $5, it typically sells for anywhere between $7 – $10. 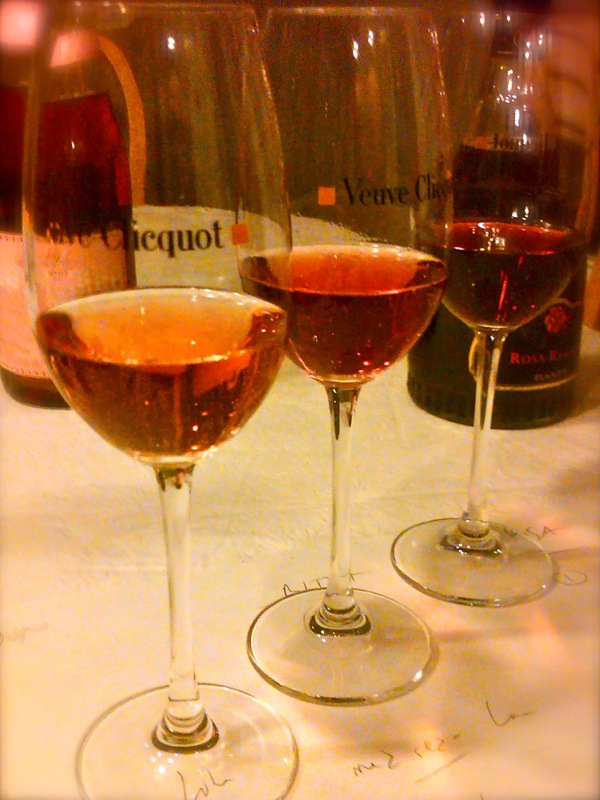 These wines are non vintage, like Three Wishes, meaning they can blend different years together. The grapes were sourced from vineyards all over California, so a blend of many areas as well. They offer a Chardonnay, Cabernet, and a Zinfandel (was not available at Bottle King at my time of purchase). They have been around since 2009, and owned by Diageo Chateau & Estate Wines. The brand is meant to be fun and approachable. These wines should be enjoyed now, not aged. They had a Chardonnay and a Cabernet Sauvignon, so I took both and walked away for less than the price of a typical everyday drinking bottle. I thought this would be a good – post as it was twice the price of the last Three Wishes bottles – but was it twice the value? I decided to bring the two bottles, along with some others, to a gathering at friends Chris and Karen’s home last night. Great cheeses and Karen’s homemade desserts like cheesecake, apple crisp, brownies and mixed fruit salad. All delicious, thanks Karen! Nice notes of apple and pear on the nose. Medium body, with great pineapple and tropical fruit taste. Then, surprisingly, the citrus (acidity) kicks in on the dry finish– which is fairly cleansing and refreshing. Worked especially well with the softer goat milk cheese, and would recommend brie with this as well. I was really happy about this wine for the price. It was not just worth double the price of Three Wishes, but the quality was substantially better. Again, I like this at $9 but love it at $5! This may be my new house white wine! This was the second bottle that I opened, after the Chard disappeared quickly! It had cherry and dark fruit with violet on the nose. Plum, cherry and vanilla (oak) on the tongue. Smooth sailing from the first sip through the mid-palette, then the finish goes a bit tannic, but in a god way. It had some guts to it and more power than I expected. After some time in the glass swirling, it calmed down a bit and really smoothed out the edges. I enjoyed this with the brownies! Yum! Was this really $5? This wine also seemed to be a success, and it looks like this was a winner. I’m shocked that I haven’t seen this wine in stores, or even heard about it until now. The web site is simple but well-organized and designed. Have a look. 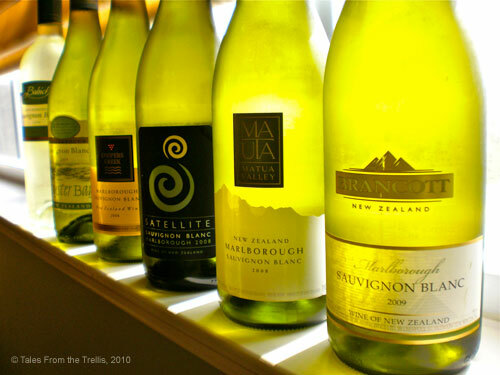 I am excited to recommend these wines to you, an excellent value with great quality for this low price. Please go try these and let me know what you think!